"Standing In The Middle" was a song recorded in 2001 by Motion Man and Kutmasta Kurt with Mike Shinoda, around the same time the three collaborated on "Enth E Nd". The song has two entries on the BMI database, the first credits only Motion Man, Kutmasta Kurt and Mike Shinoda, while the other, which is more recent, credits all Linkin Park members, leaving out Motion Man and Kutmasta Kurt. 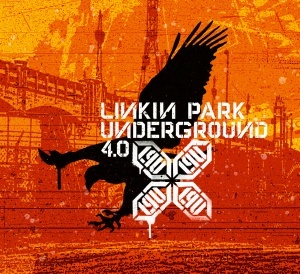 A censored version of the song was released in 2004 on the LP Underground 4.0 CD, around the same time Mike started to rap the first verse of the song over a extended version of "Nobody's Listening". An explicit version was never released. On the CD case, Mike wrote: ""Standing In The Middle" is a brand new song I did with Kutmasta Kurt and Motion Man. You may remember them from the "In The End" remix from "Reanimation." This is the first time this track has been made available." Motion Man and Kutmasta Kurt featuring Mike Shinoda. Starting at the band's "warm up" show for their Meteora UK November Tour at the SmokeOut festival, the band extended the second verse of "Nobody's Listening", with Mike rapping the first verse of "Standing In The Middle" over it. The song was dropped for the final leg of the 2003 tour of holiday festival shows.